One summer’s evening a young princess was out for a stroll in the park. She held in her hands her favorite plaything – a golden ball. She was tossing the ball up in the air as high as she could and waited for the ball to fall to the ground. 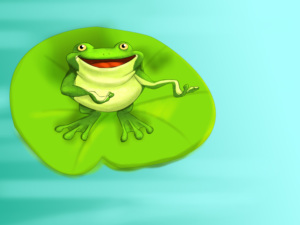 The frog dived under the water and soon his head popped out of the surface. 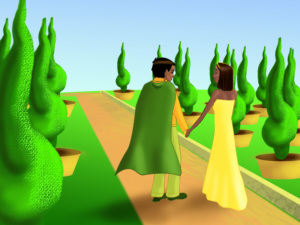 “Here you are, my queen – your ball,” he said and, coming out of the lake, he rolled her golden ball towards her. The princess took her favourite plaything and ran towards the castle overjoyed. 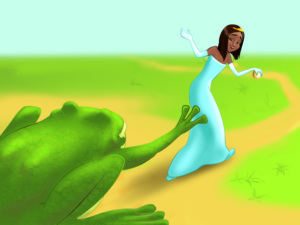 She forgot what she had promised the frog and left him calling after her, “Princess, take me with you as you promised.” But she never turned back. 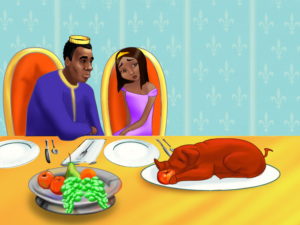 The next day the princess was sitting with her family at the dinner table when someone knocked gently on the door. 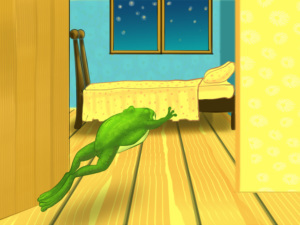 The princess ran to the door and was surprised to see that it was the frog, who had somehow succeeded to reach the palace on his own. The princess shut the door immediately and sat back at the table. 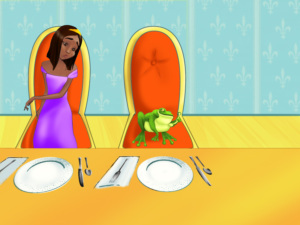 The princess went to open the door and the frog jumped to the dinner table, making nasty tapping and splashing sounds. 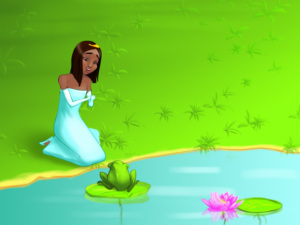 The frog turned his head to the princess. “Please lift me so that I can sit on the chair next to you,” he asked. The princess placed the frog on the chair next to her. 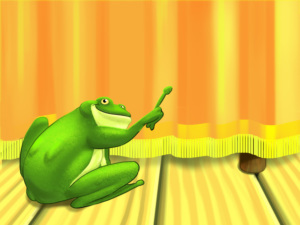 She was wiping her hand in disgust when the frog spoke again. “Lift me on the table now, so that I can eat off your gold plate.” The princess took him in her hand unwillingly and put him next to her plate. 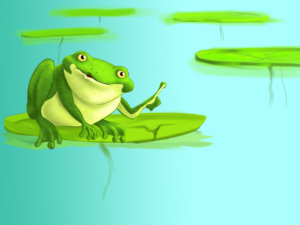 After dinner the frog spoke again. “I am so tired now,” he said. “Take me to your bedroom and put me in your bed.” So the princess took him to her chamber and left him on the pillow next to hers. 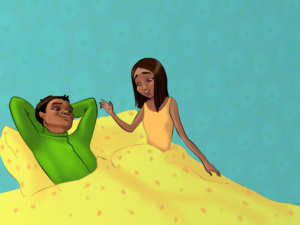 The frog slept next to the princess as she had promised him and in the morning he hopped downstairs and went out of the castle. But she was wrong, because the frog came back in the evening. She was already in bed when she heard the same gentle knock at the door. 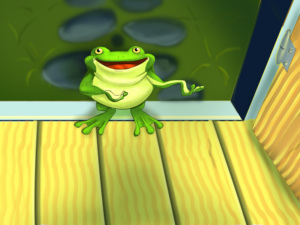 She opened the door and the frog jumped in with a tapping sound. He asked the princess to sleep next to her again and she put him on the pillow. 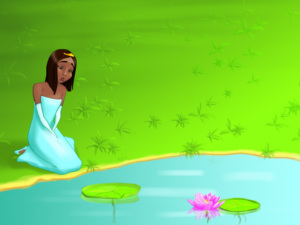 The next morning the princess woke up and saw that the frog was gone. 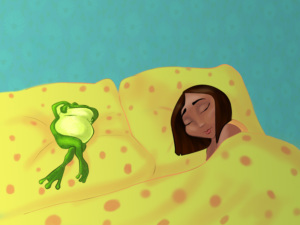 She really hoped that it was the last night she had to sleep next to a frog. 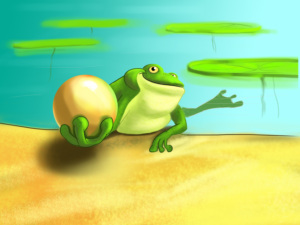 But the evening came and the frog came along with it for a third time. She let him in her room again but she had started to think of a way to get rid of him. With plans running through her mind she fell asleep. 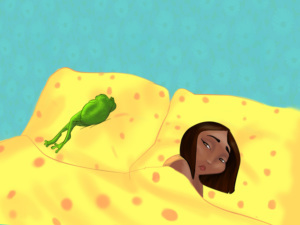 When she woke up in the morning the frog was gone and a handsome prince was looking at her with his beautiful brown eyes. 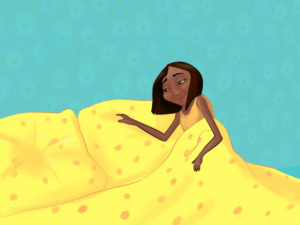 She was pleasantly shocked, but she couldn’t understand what had happened overnight. The prince told her the story of the curse that had been put on him. “I was a prince and I lived in a castle just like you, but then one day a spiteful fairy put a spell on me. I had to find a princess who would let me live with her, eat from her plate and sleep in her bed, so that I could break the spell. 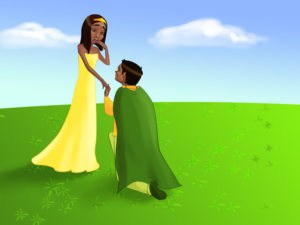 I am so happy that you were that princess, who got me out of my misery,” he said. The young princess didn’t take long to agree. The king gave the prince one of his horses. 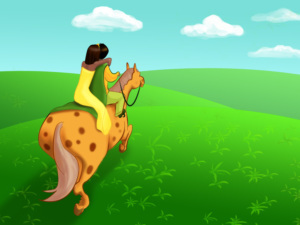 The young prince and princess rode off together to his father’s castle. They married and lived together happily for a great many years.